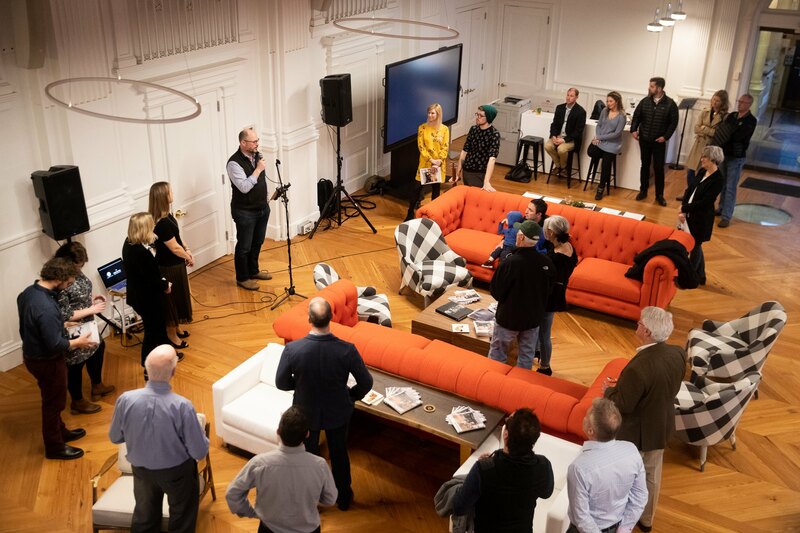 Last week was one for the books - align.Space coordinated our monthly Happy Hour with the launch of Fig West Chester’s Spring Issue – Changemakers! 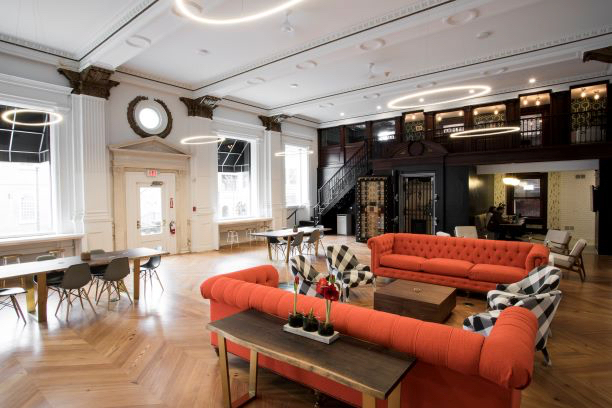 Every edition is presented with a sneak-peak party at a host location - and you know where this one was… you guessed it, West Chester’s hottest new event and coworking venue, the Space! The crowd, made up of local employees, artists, and business owners, gathered together with our members and those featured in the issue. To keep it even more local (which we all love) Iron Hill Brewery walked down the block with a keg of Das Boot in hand to serve up with their cheesesteak eggrolls, chicken wings, an all kinds of delicious bites! The pouring rain and whipping wind outside couldn’t keep us down! It was hard to decide whether the March Madness viewings on our giant screens or the live acoustic guitar from Windish Music was winning over our attention. 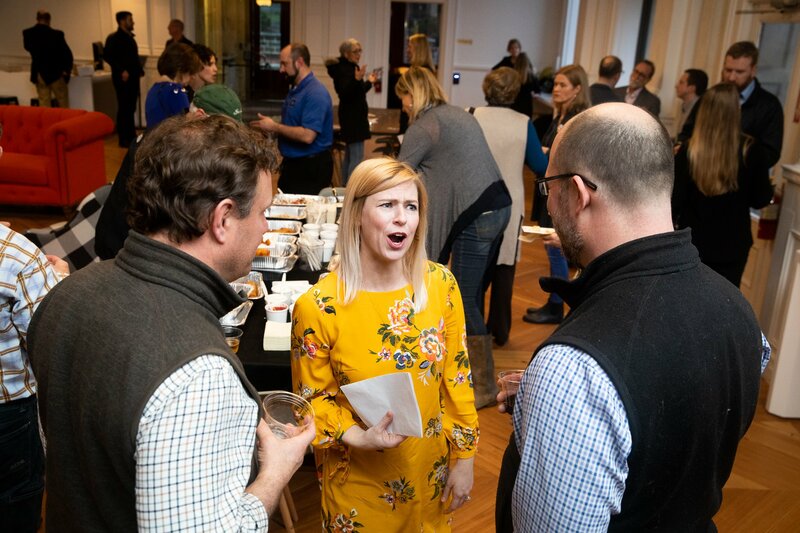 As the night sizzled down a bit, we heard a few words from Fig, said a few words of our own about our wonderfully blossoming space, and watched a West Chester themed video clip made by Tailor Made Productions. As a token of gratitude to those in attendance, we raffled off two tickets to the Philadelphia Phillies Diamond Club. Our lucky winner, Ben Bruckman, is returning to his hometown after living in Asheville, North Carolina and bringing his business Original Waters back to the area with him - welcome home, Ben! Our monthly Happy Hours occur every third Thursday of the month and are open to the public. As the warmer weather approaches, we would love to have you join us for a drink, some live music, and perhaps a game of shuffleboard. 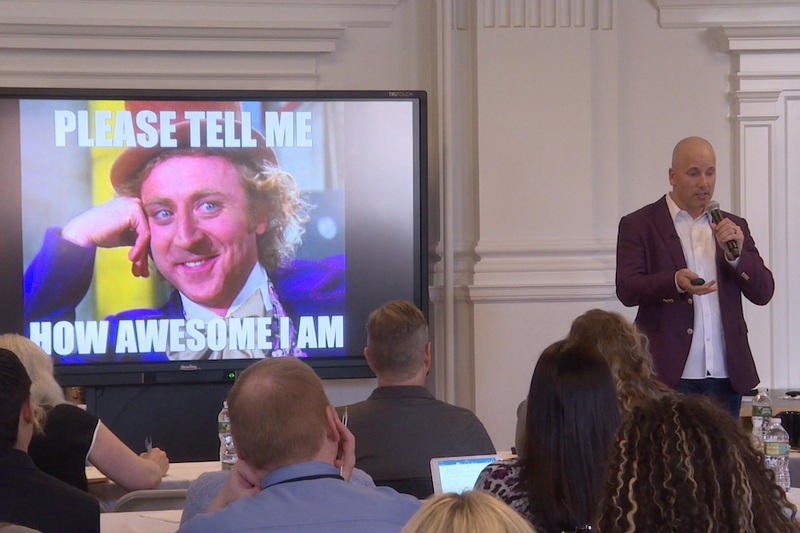 We're sure this event will evolve into the place to be in the borough. 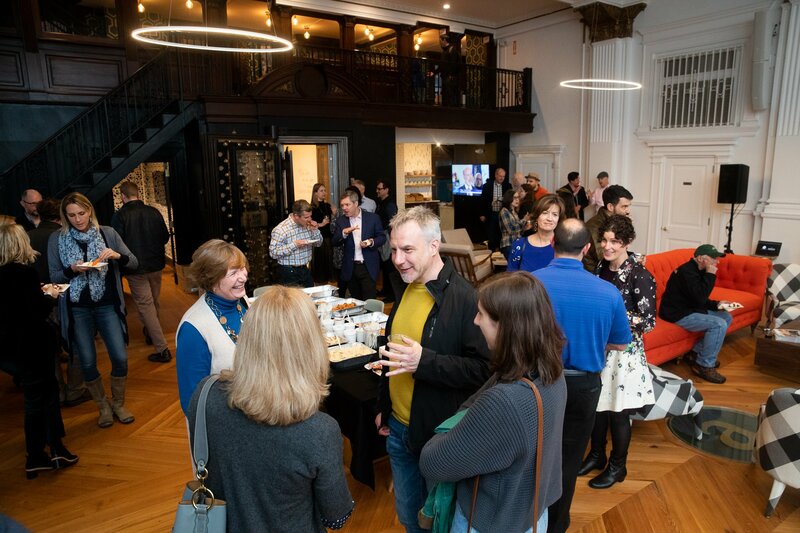 See you at our next event on Thursday, April 18th - and if you want us to send you reminders about our Happy Hours and other special events, enter your information below to join our newsletter!